There are so many beautiful things in this world. 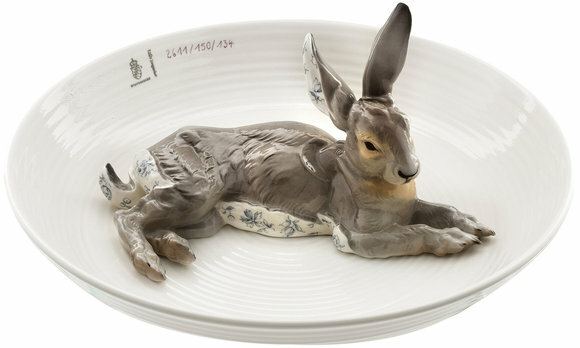 Look at this stunning porcelain bowl by German (I think) manufacturer Porzellan Manufaktur Nymphenburg with a three-dimensional fawn! Isn't it darling? 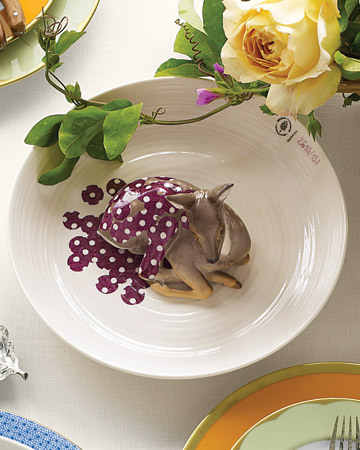 The plum polka-dots on the sweet little porcelain fawn are just adorable, and modern, and sophisticated - all at the same time. 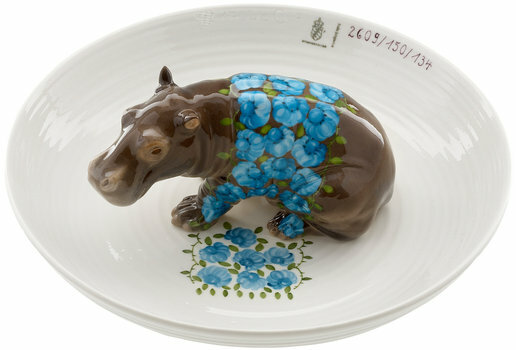 The hippo is my favorite too. Martha Stewart Weddings highlights these precious bowls as a great registry item for the "playful" bride, and I must agree. They are just fantastic! 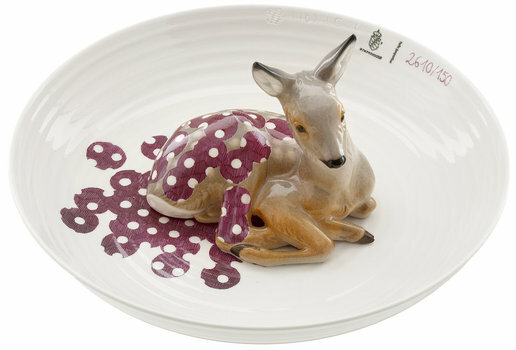 MSW says these bowls are available in the U.S. via Rose and Radish - 415-391-4988 (there doesn't seem to be a website). How interesting and unique! I'd love to put a few of these on display around my house.